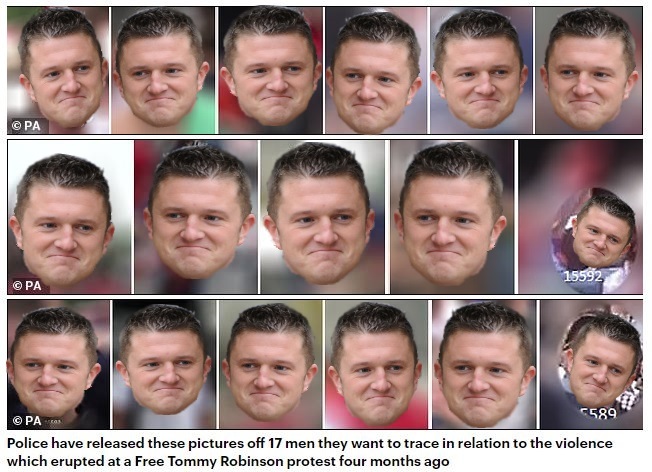 Police have released CCTV stills of 17 men they want to trace in relation to the violence which erupted at a Free Tommy Robinson protest four months ago. Hundreds of supporters of the former leader of the English Defence League and far-right activist descended on Whitehall in central London on June 9. Nine arrests were made and several people were injured at the protest including five officers.